Flying, flipping, sliding – and sticking! 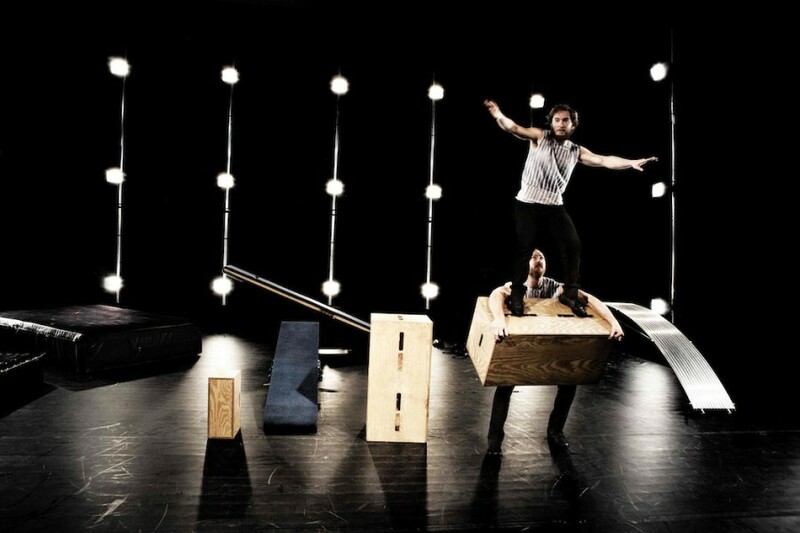 In this daring and critically acclaimed circus show, everything and everyone – including the audience – is attached. Seesaws, wooden blocks, a great curved silver slide, catapult and crashmats dot the stage. 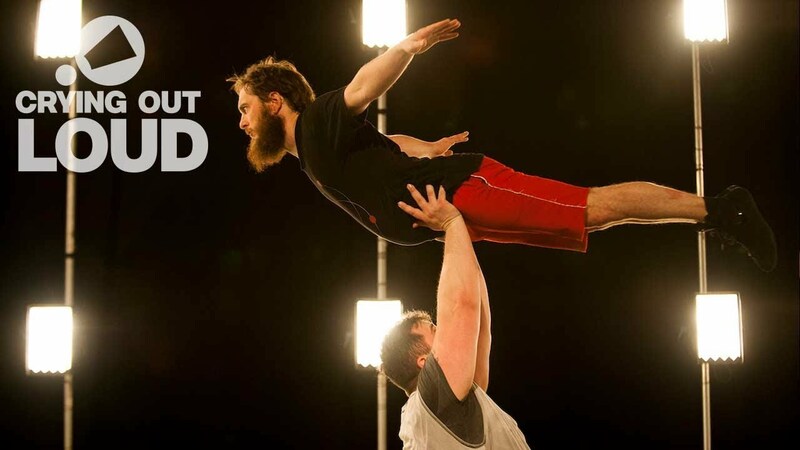 As the performers exhibit their acrobatic agility on each piece of kit, the theme that runs through Attached is that of contact. There is no escape. This impressively skilful circus duo is hopelessly connected. When one falls, the other one flies. 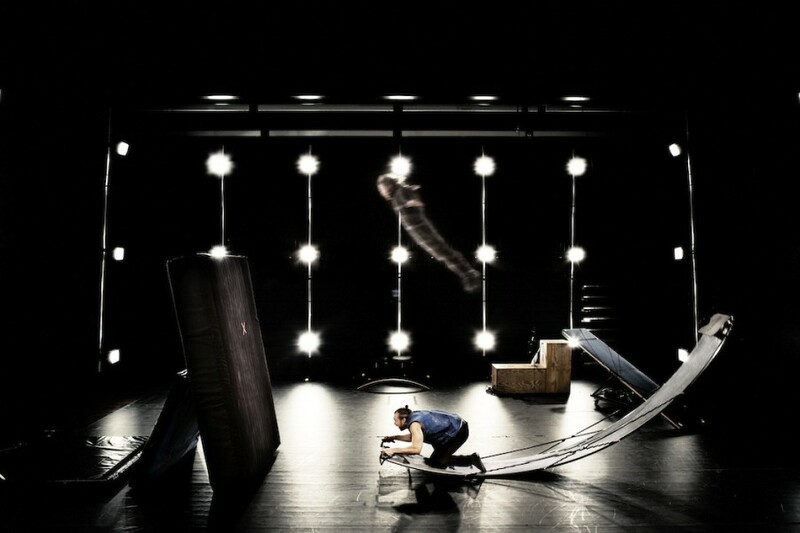 The final chain reaction to this thrilling show sees two seesaws, two flying mats, a weight suspended from the ceiling, the curved silver slide, Velcro balls and audience volunteers built into an elaborate domino run. With precise skill and buckets of humour, Magmanus have produced a highly entertaining night out. Attached is a show that just won’t let you go! Their vision is ‘to spread happiness and inspire audiences to follow their dreams’. 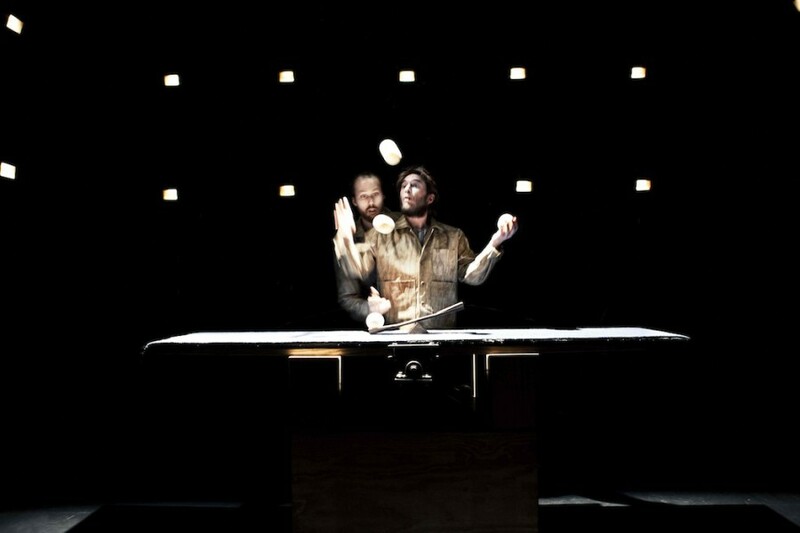 Magmanus believe their combination of impressive circus skills, humour and interaction with the audience will deliver this. The contrast between the two performers’ physical appearance (one is tall, the other is small) emphasises their different personalities, which also complement each other on a professional level. ‘Some years after finishing school Manu was working on a show with another artist. However he found himself training mainly on his own and on this particular occasion, he had had enough. Seeing Magnus working on his techniques in the same studio, Manu went over to say hello and asked Magnus what he was doing for the summer. ‘I’m going to make a show with you’ he answered. After a minute’s silence, they both said, ‘Ok, let’s do it’. Two weeks later they were in the streets performing a sketch of the Magmanus show. The public reaction was so positive that they decided to create a company and a full show. Since then Magmanus has performed in 21 countries on 3 continents in all kinds of spaces. For the UK performances, Magnus Bjoru will be replaced by Massimiliano Rossetti who has a background in physical and street theatre. Rossetti graduated from Carampa, Spain in 2004 and London’s National Centre for Circus Arts in 2008 before founding Lost In Translation Circus. Since then he has been performing and teaching all over Europe and has toured with NoFit State and with Cirque Hirsute’s show Toccata.